The room was comfortable. They have a small fridge and microwave in the room. They have a list of local places you can eat which was helpful. The breakfast was easy grab and go food. It was warm and dry after being out in hunting camp. Owners were very nice. They had very secure free WiFi that was better than any hotel,motel we stayed on this trip. Staff were very friendly! Staff was very friendly and helpful. They were prompt and made the stay excellent. The room itself, comfortable beds it had a table and chairs for eating at, but most of all the managers of the motel they make you feel like family, I had to stay a couple of extra days and they let us keep the room without a reservation. Would not stay anywhere else. Loved the king bed and the sofa in the room was much appreciated. 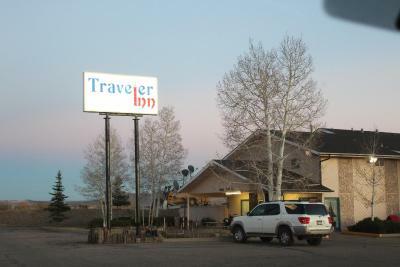 Traveler Inn Craig This rating is a reflection of how the property compares to the industry standard when it comes to price, facilities and services available. It's based on a self-evaluation by the property. Use this rating to help choose your stay! 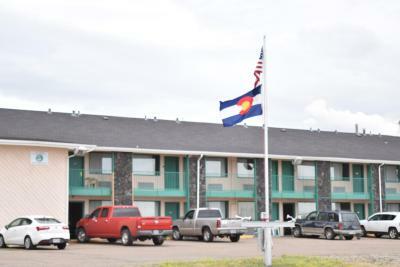 Featuring a mountain view from each room, this Craig, Colorado accommodations is 5 minutes’ drive to Museum of Northwest Colorado. 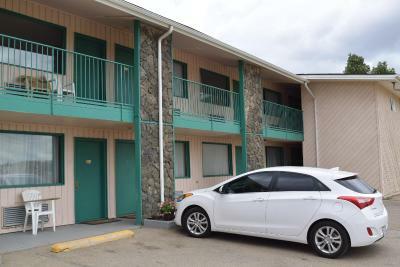 Each room provides free Wi-Fi, cable TV and an private bathroom. 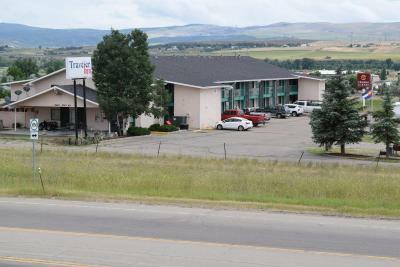 All rooms are simply furnished at Traveler Inn Craig. 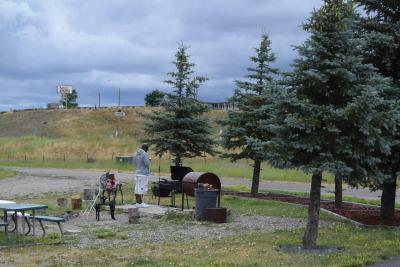 Barbecue facilities are offered at Craig Traveler Inn. A 24-hour reception welcomes guests. Wyman Museum is 10 minutes’ drive away. Steamboat Springs, Colorado is less than 45 miles away from Traveler Inn Craig. When would you like to stay at Traveler Inn Craig? 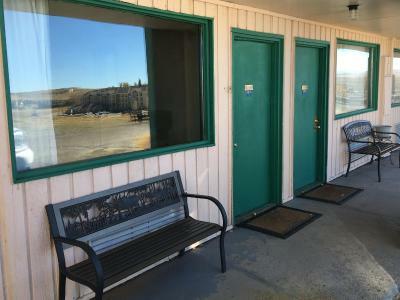 Featuring a mountain view, this room provides free Wi-Fi, cable TV, a mountain view and an private bathroom. 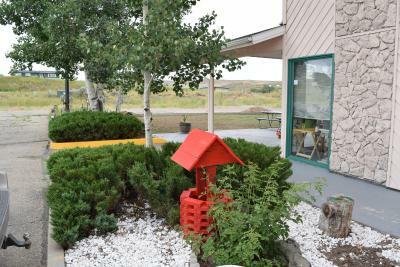 House Rules Traveler Inn Craig takes special requests – add in the next step! Traveler Inn Craig accepts these cards and reserves the right to temporarily hold an amount prior to arrival. The ice machine room was locked when we needed it at night. There is not a coffee pot in the room. The toilet constantly over flowed. Their was stuff/trash from previous quests. Not feeling like a valued customer. Also felt like living for a landlord rather than comfortable doing as I please. I liked the staff and location. Staff was not ready for our arrival. The room we booked we did not get. Staff placed us in a smoking room with 2 beds. The room was comfortable and clean and included breakfast..an absolute bargain. Room well maintained. Brilliant location for Dinosaur Monument. Rooms were dirty (used toothpick on floor n bottle cap plus dirty sheets), beds were very uncomfortable n old, decor was horrible n creepy. There was a cat sitting on the desk while we were trying to check in . Room had not been dusted in a long time I had to clean with wipes bathroom was clean !holes in bed linen! We have stayed here before. 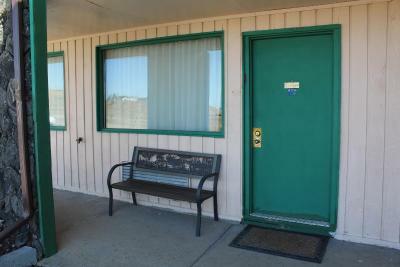 The location is great, rooms are large, with the usual amenities, very clean. The room smelled horrible, the bed, sheets and pillows wanted it make me vomit. Disqusting dirty gross!!! In need of updateing and repairs. 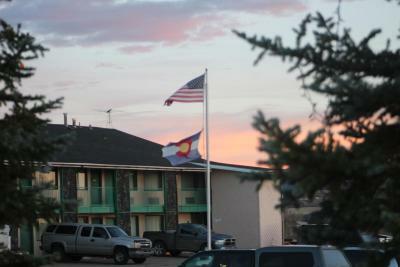 Long term guests on back side of motel,very loud,partying until late at nigt. The trash and the Jets 85% if the time didn't work. 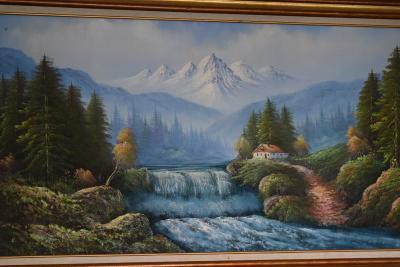 It was over priced for the quality you get in a room. Caleb the housekeeper was awesome.